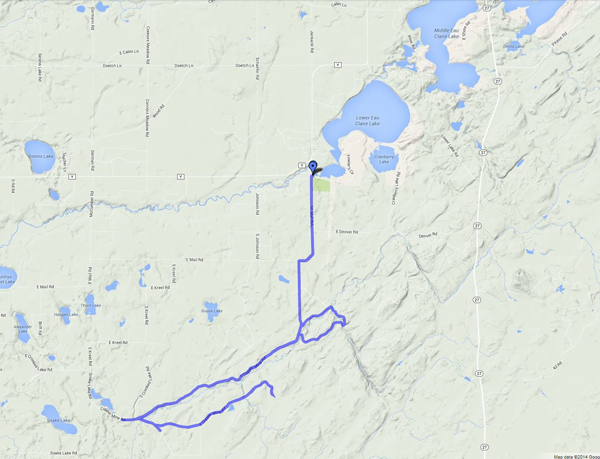 Looking for good bike routes in northwestern Wisconsin? 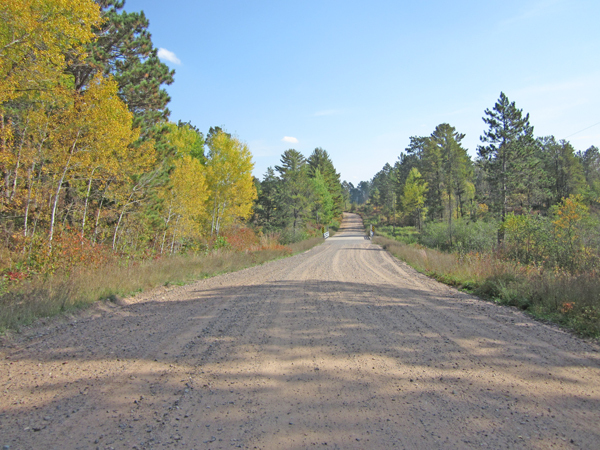 Check out these dirt roads in the Gordon-Barnes area. 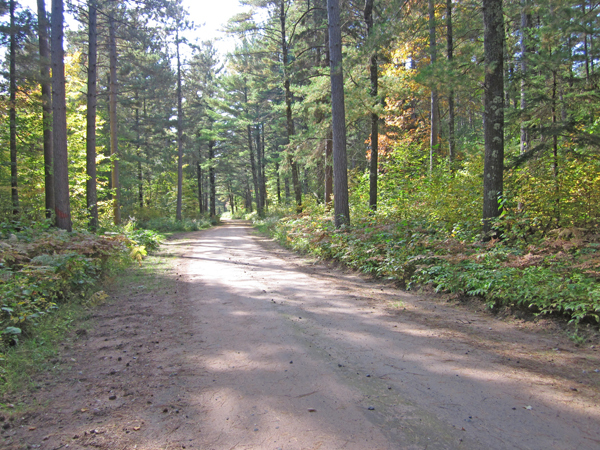 They’re just southwest of Lower Eau Claire Lake, which is part of the Eau Claire Chain of Lakes. Starting point: Mooney Dam Park. To get there from Gordon, drive east for 11.2 miles, then turn right on East Mail Road. Head south for only about 0.2 miles, then turn left on Fowler’s Circle. 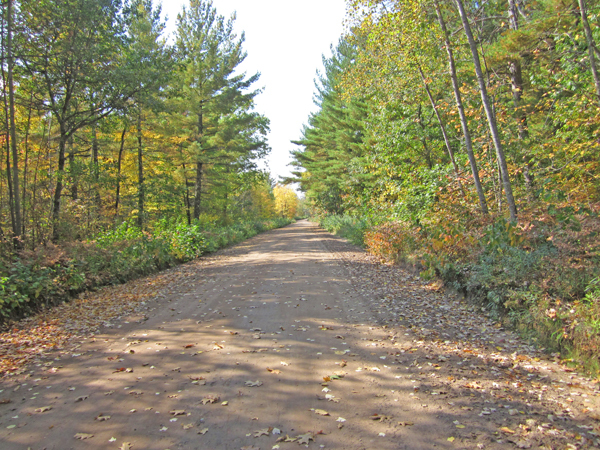 Roads you’ll travel: East Mail Road, Coppermine Road, Coppermine Loop, South Coppermine Road. This out-and-back route with one side loop is a little over 20 miles, and most of it follows the Ounce River. 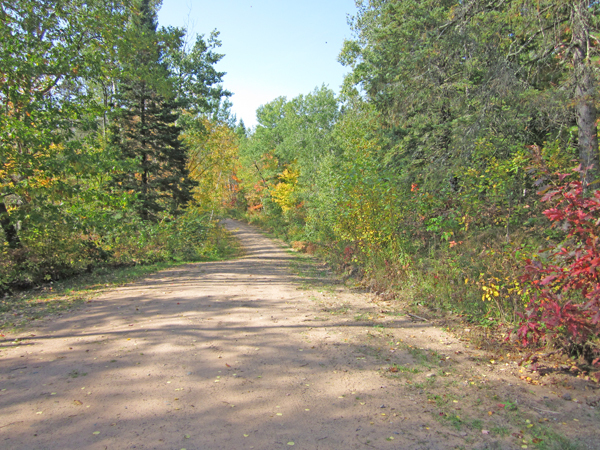 For more distance, try some of the logging trails and side routes you’ll see along Coppermine and South Coppermine Roads. 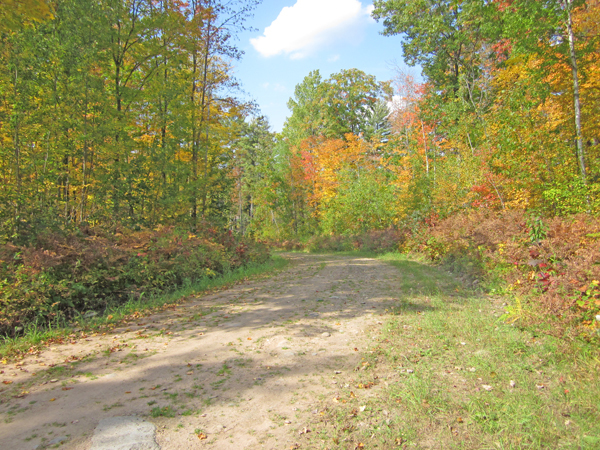 You could also continue on Cheever Road, Snake Road, or Crooked Lake Road. What to expect: Although some parts of the route are smooth, packed dirt that’s almost like riding on pavement, be ready for occasional rocks and patches of deep, soft sand. Most riders will prefer mountain bikes on this route, and a road or cyclocross bike with 700 x 35c tires is probably about the minimum. Even on weekends, you could ride for hours without encountering any vehicles. Most of the route is out of cell range. Be ready for changing weather, and bring spare tubes, patch kit, and tools. After your ride, food and refreshments are available at a number of taverns and cafes within just a few miles of your starting point.